AYS Website - Marketing Magazine: "Having a Purpose is Like The New Black"
"Having a 'purpose' has become the new black. Or, rather, I should say ‘purpose’ is the new ‘green’ because, due to the startling lack of imagination of many marketers jumping on this bandwagon, purpose has become almost synonymous with saving the world superhero-like, as brands swoop in to plant a few trees while shouting about their environmental credentials". 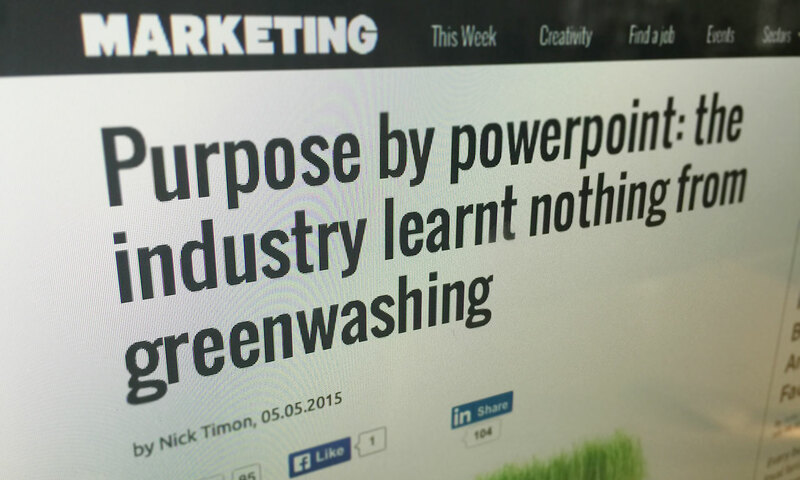 Read Nick's full thought piece over on Marketing Magazine.